When a machine is this mighty under the hood, it requires an equally powerful exterior when hitting the streets. 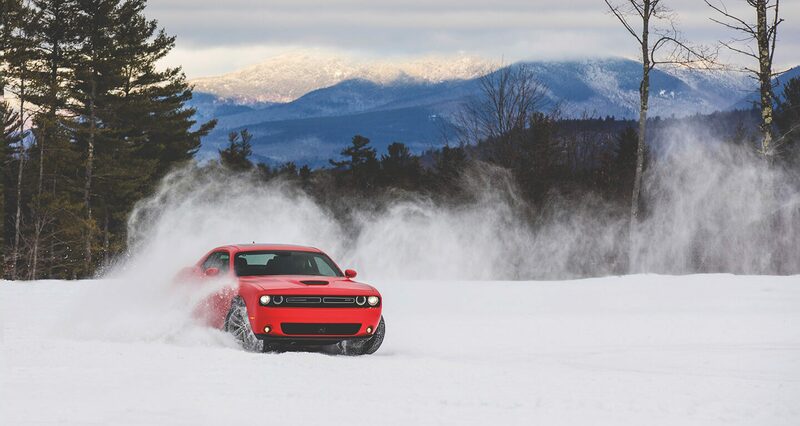 With the Dodge Challenger, you have the ability to customize. From badges to racing stripes, heighten the intensity of your vehicle. 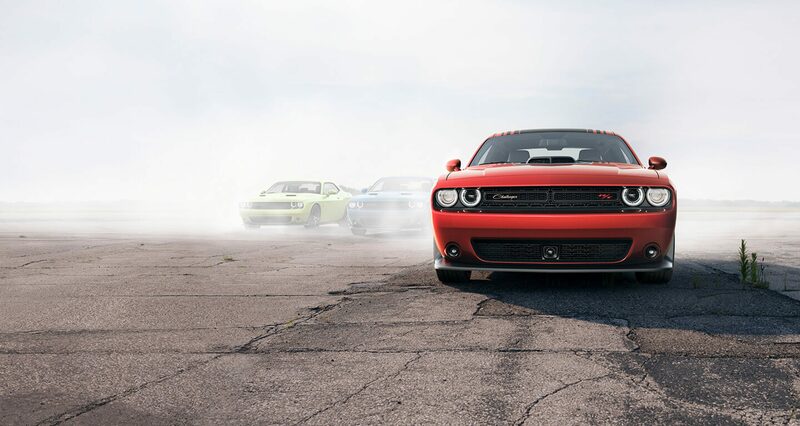 From front to back, the Dodge Challenger expresses itself with assertive design features. To maintain optimal performance, the available Illuminated Air-Catcher® Headlamps help keep your engine cool by absorbing cool air while in motion. Classic full-width rear LED split taillamps with gloss black surrounds stop more than just traffic. The Dodge Challenger offers available performance seats designed to fit the contour of your body and help keep you secure behind the wheel. Performance-inspired seats with accent stitching set the look and feel of the Dodge Challenger interior. There are different steering wheel designs for different Challenger trims. With four available steering wheels to choose from—Sport, Performance, Wild Wheel and SRT®—the Dodge Challenger puts you in complete control. There should be one thing on your mind when you're behind the wheel, and that's driving. That's why the available Uconnect® 4C NAV comes loaded with features that make it easy to stay connected like Navigation, Hands-Free Calling and more. Your smartphone can keep you connected even in your car. By connecting to Apple CarPlay®via your iPhone® or Android Auto™ via your Android device, you will gain access to specific apps right on your Uconnect® touchscreen.